He becomes the first Indian American to have a weekly show. Indian American comedian Hasan Minhaj is all set to host his first weekly comedy show on Netflix. 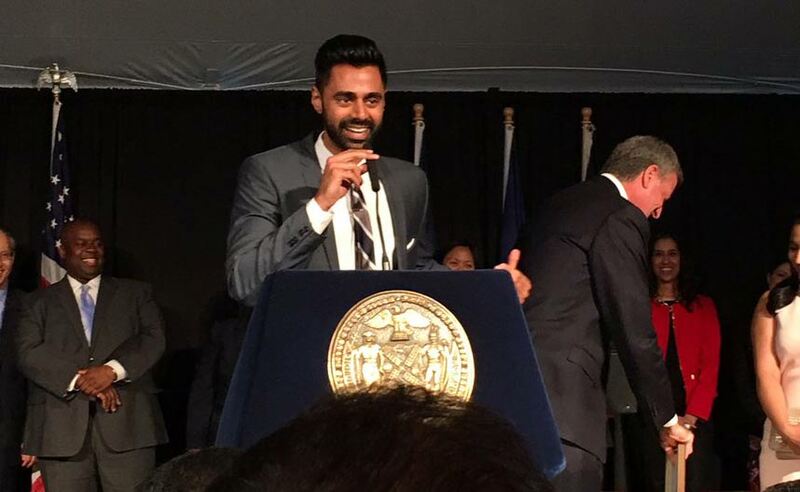 Minhaj, a correspondent with The Daily Show, is the first Indian American to host a weekly comedy show, reported Hollywood Reporter. The comedian, who set last year’s White House Correspondents’ dinner ablaze, marked another milestone last year as his stand-up show Homecoming King debuted as a Netflix Original. According to the report, Netflix has already ordered 32 episodes of the show, which will start streaming later this year. Netflix, which reportedly outbid the Comedy Central, home of The Daily Show, considers it as an opportunity for Minhaj to explore the modern cultural and political landscape. “I’m thrilled to be joining the Netflix family as the country braces for another election season — and like you, I cannot wait to find out who Putin picks this time,” Minhaj was quoted as saying by Hollywood Reporter. Variety.com reported that Minhaj will executive produce in addition to hosting. Prashanth Venkataramanujam, Michelle Caputo and Shannon Hartman of Art & Industry and Jennie Church-Cooper of Haven Entertainment will also join him to executive produce the show. With the introduction of the new show, Netflix aims to expand its global presence, especially to countries like India, where the company started offering its service a few years back. Minhaj, 31, first gained national attention when he joined the Comedy Central’s Daily Show as a correspondent in 2004. The next year, he made his Off-Broadway debut with Homecoming King, which is based on autobiographical incidents from the comedian’s experience as a first-generation Indian American. Minhaj has also appeared on Netflix’s Arrested Development, HBO’s Getting On and Comedy Central’s @midnight, among other shows.